Categories: running | Tags: 26.2, did, marathon, marathons, mercedes marathon, Road running, run, runner, runners, running, win | Permalink. Old New Shoes…When is it time for new running shoes? To be fair, the store DID offer tennis shoes with the latest designs & colors…but none that offer enough support for my foot. I wouldn’t consider them “running” shoes. Old shoes on the left. New shoes on the right. Now, to the question at hand. How do you know when it’s time for new running shoes? It has little to do with the amount of tread or wear on the outside of the shoe, but it has everything to do with the inside. Buy new shoes when you start getting blisters on your feet, pain in the arch of your foot, and/or aching in your knees after running. In my best Dr. Phil voice, “So, how’s that working for ya’?” NOT VERY WELL AT ALL. You should buy new shoes every 350-550 miles. Keep a running journal/spreadsheet to log your miles. Write the approximate date that you will need to change them on the inside of the tongue of your shoes. It is also recommended that you have more than one pair of shoes that you alternate. 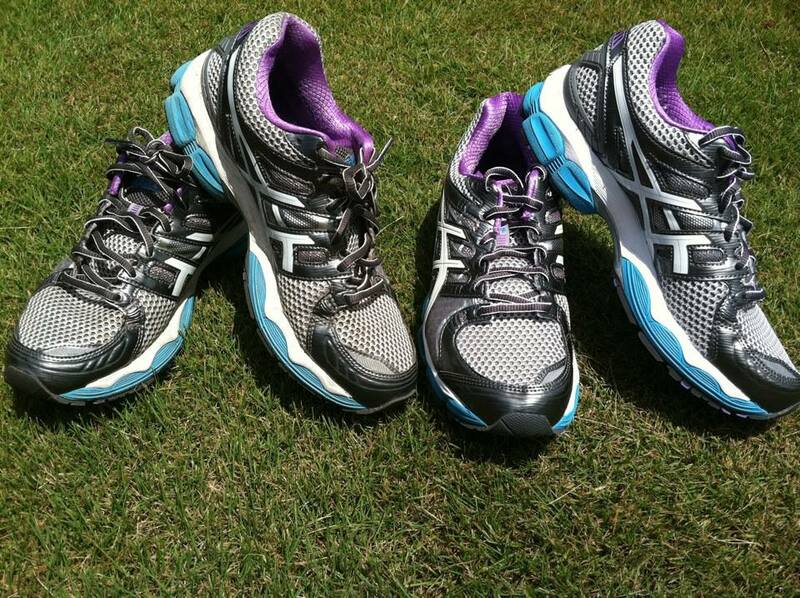 I have enjoyed my asics gel nimbus 14 for their support and comfort, but I don’t really like the way they look. What’s your favorite running shoe? What do you recommend? Categories: running | Tags: 10k, 13.1, 26.2, 5k, asics, Athletic shoe, C25k, couch to 5k, Dr. Phil, marathon, run, runners, running, running shoes, running tips | Permalink. Have you ever ran in Gatlinburg, TN? What’s the best place for a 10-12 mile run if you’re vacationing in Gatlinburg, TN? Categories: running | Tags: 10k, 13.1, 26.2, 5k, Gatlinburg, Gatlinburg Tennessee, run, runners, running, Tennessee | Permalink. 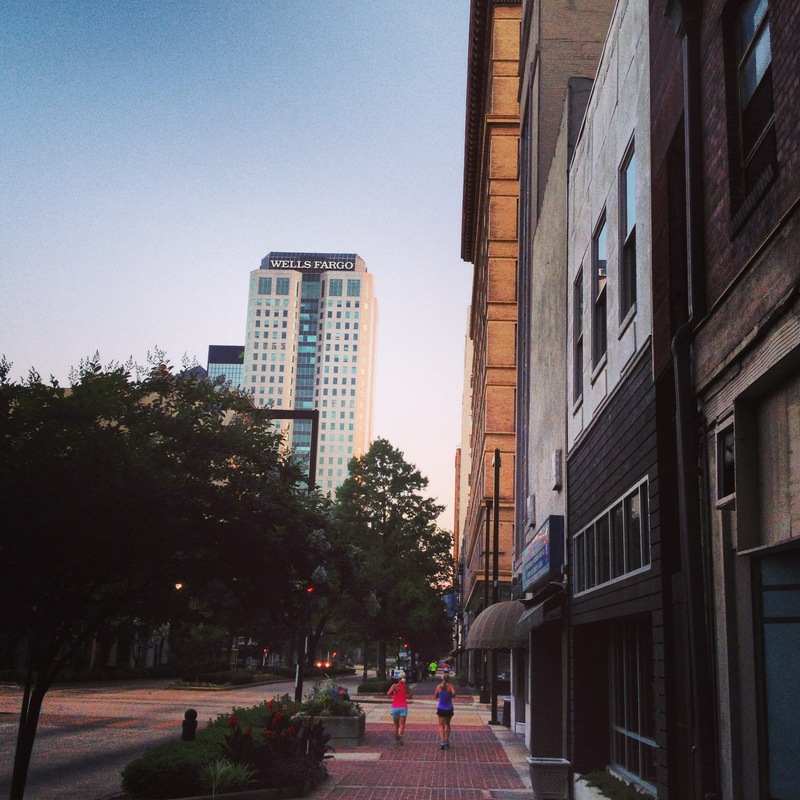 I love running in Downtown Birmingham, AL…I think you’d like it too! Here’s a quick tour that I found today. All In Stride | Blogging and running my way through life. I have wanted to write this post for a long time now. Ever since I moved to Birmingham and ran downtown for the first time, I’ve had a certain affection for this tired and worn down, yet blossoming city. And it’s my favorite place to run. Don’t get me wrong—it’s not that I don’t like running through the perfect neighborhoods of Homewood and Mountain Brook. They’re just so…boring. Houses, trees, car-dodging—they’re Anywhere, USA. Running downtown is an adventure, an opportunity to appreciate Birmingham and its grungy beauty. In a span of 13 miles you can get from one side of the city to the other, running past old and new, soaking in 360 degree views of the skyline and the surrounding hills. 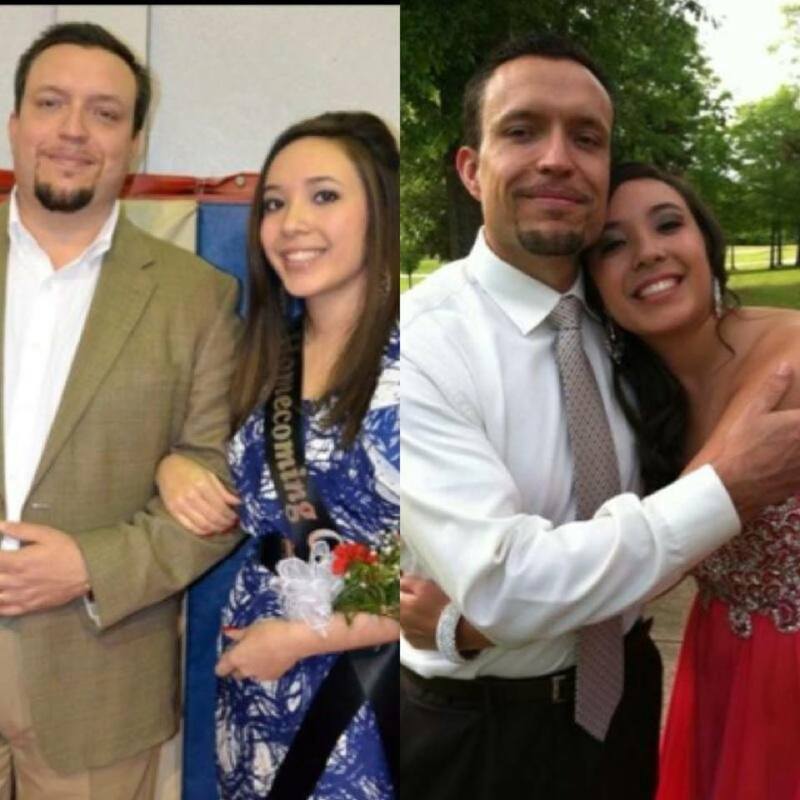 Making healthy choices is one of the greatest gifts that a father can give to his children. A few of the benefits include….A healthy state of mind, opportunities to be more active together, longevity, and a greater quality of life. Categories: running | Tags: 10k, 13.1, 26.2, 5k, C25k, couch to 5k, Father, Fathers Day, healthy-living, inspiration, love, run, runners, running, transformation, weight loss | Permalink. Should every person become a runner? I have this strange little thing about me…if “EVERYONE’S DOING IT”….then I’m usually not that interested. So, while I’ll encourage every person who has running on their heart to follow through….I don’t think it’s for EVERYONE! There IS a form of exercise for every person, find what you enjoy and do that. Gardening, art, a pet, a motorcycle ride are just a few things that others have shared with me that gives them the same fulfillment I get from running. I knew I wanted to run years ago. As a child, the only sport I was good at was running. I had a short stint in college running for the company I worked for…and then there was the time I was at a business meeting in downtown Atlanta, GA. Looking down from my hotel window I saw thousands of crazy people running in the freezing weather through the downtown streets. I remember thinking how interesting that looked and wished I was joining them. So, if it’s on your heart….GO DO IT! Don’t give up! It will be so worth it! Categories: running | Tags: 10k, 13.1, 26.2, 5k, Atlanta, C25k, couch to 5k, marathon, run, runners, running, Spirit of the Marathon, why I love running | Permalink. This little boy made my day! 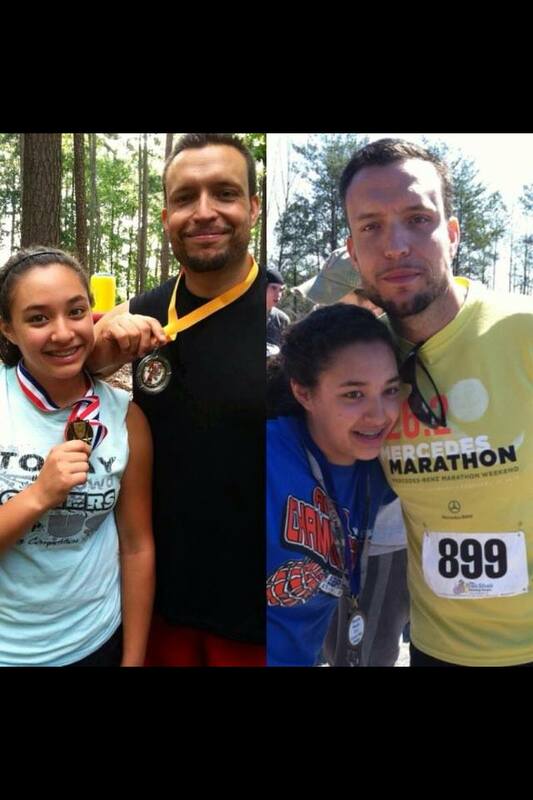 Early this morning, my daughter and I ran 3 miles together. This little boy kept trying to race us. When he couldn’t go any further, he would walk the opposite way around the track so he could meet up with us again. He was quite persistent! I’m sure he got a good nap in today. We looked for him when our run was complete. Exchanging high fives with him, we told him what a great job he had done. I couldn’t understand him when he told us his name, but it started with an “R”. 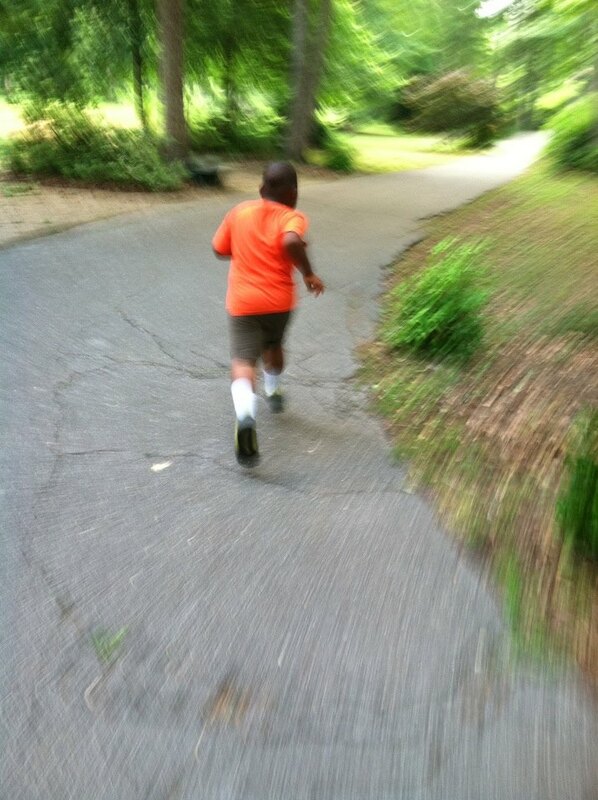 When I asked him if he was going to be a runner when he grew up he answered, “No. I want to be a baseball player, or a football player…or a basketball player.” Assuming that he wanted to go Pro, my daughter asked him which team he was going to play for. He said, ‘The Red team.” 🙂 I told him I’d be looking for him on TV, in response he gave me a big smile. Categories: running | Tags: 10k, 26.2, 5k, baseball, basketball, football, inspiration, morning, run, runners, running | Permalink.